Ladies DIAMOND (0.18ct.) 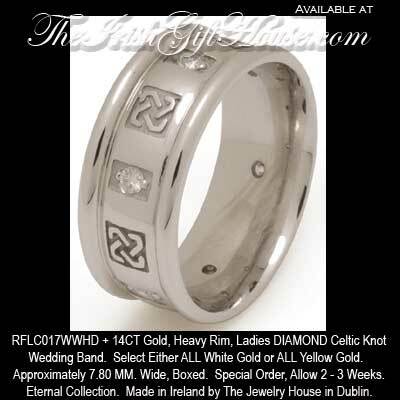 Celtic Knot Wedding Band. Approximately 7.80 MM. Wide, Boxed.